At St Francis of Assisi Catholic we believe that each child has individual and unique needs. We ensure that all children in our school have full and equal access to every facet of school life. However, we recognise that some children require more support than others to learn in school and we acknowledge that a significant proportion of children will have special educational needs (SEND) at some time in their school career. Many of these children may require help throughout their time in school, while others may need a little extra support for a short period to help them overcome more temporary needs. At St Francis of Assisi we welcome children with special educational needs. Children with special educational needs are assisted and supported by experienced and skilled teaching and non-teaching staff. This provision is regularly monitored and reviewed by the Headteacher and Governors. We work in close partnership and in a spirit of co-operation with the children’s families, all relevant professionals / agencies both before the child joins our community and all the time that the child is with us. Rachel Bowen is our SENCO. She is responsible for co-ordinating the provision for all SEND pupils at St Francis and works closely with families and the class teachers. In addition, we have a trained Speech and Language practitioner, Mrs Soledad Alvarez Sanchez, working with children with specific needs for two days a week. 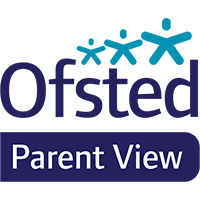 Mrs Emma Rotheram provides additional pastoral and behavioural support throughout the school for three days a week, and we have a Family Support Worker, Lorna Pearce, in school each Friday to support children and their parents. Please contact your child’s class teacher, in the first instance, if you have a concern about your child’s special needs or if you are concerned that your child may have a special need. Norfolk SEND Partnership are a small team, with trained volunteers throughout the county, who offer information and advice to children, young people and parents/carers about special educational needs and disabilities (SEND). They are able to give confidential telephone support and information about SEND and put young people and parents/carers in touch with other voluntary groups and people who may be able to help them. "I like this school because it’s very welcoming and the teachers really believe that you can get high marks."